Coming a month after the tragic shooting at Marjory Stoneman Douglas High School, thousands of students across the US staged massive walkouts yesterday to protest school shootings. The actions and critiques of these students have put a renewed focus on the multi-billion dollar gun industry, its bought-off politicians, and its powerful lobbyists like the NRA. We’ve recently tried to highlight (here and here) the powerful role that big profiteers – banks, hedge funds, asset managers, top CEOs – play within the gun industry. These figures not only rake in millions and billions from gun manufacturing and sales, but they are often figures who, if pressured, could actually make decisions that could lead to change within the industry. 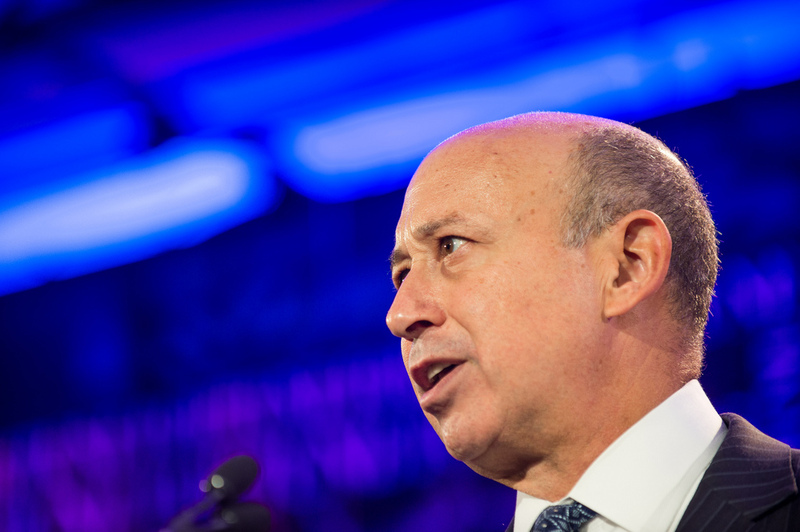 Big banks play a major role in the gun industry. In offering billions of dollars in credit lines to gun companies, they quite literally give them the life lines that allow them to stay in business. And, as Bloomberg reports, few banks are more complicit in the gun industry than Wells Fargo, who has been the largest backer, by far, of two of the biggest publicly traded gun companies in the US in recent years. Since December 2012 – the time after the horrific Sandy Hook school shooting – Wells Fargo has made available $431.1 million in loans and bonds to American Outdoor Brands (the parent company of Smith & Wesson) and Vista Outdoor. Even more, Wells Fargo has profited off of working with the NRA. Not only has the bank given the gun lobbying group a $28 million line of credit, but it also runs the NRA’s main bank accounts. In return, Well Fargo raked in nearly $10 million in fees from its business with the NRA in 2015 and 2016. While Wells Fargo was not originally part of the banking relationship with the NRA – it inherited it through its 2008 purchase of Wachovia – the bank still renewed the relationship in 2014 when it lent $22.6 million to the NRA (it used the gun group’s headquarters as collateral). The loan carries a 6.08% interest rate that Bloomberg estimates earned Wells Fargo a hefty $1.2 million in 2016 alone. On top of this, Wells Fargo serves as the pass through bank for the NRA’s political action committee – the entity that the NRA uses to pour big money into elections to push it pro-gun agenda – for which the bank receives a fee. Former Wells Fargo CEO John Stumpf, who resigned in October 2016 amidst scandal (see more below) did very well off of business like this. He earned a whopping $62 million in total compensation between 2014 and 2016. 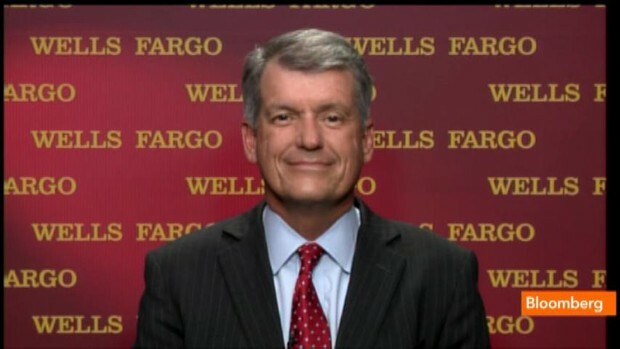 Though we don’t yet know the extent of current Wells Fargo CEO Timothy J. Sloan total compensation package today, he did snag a 17% pay increase in early 2017 to take in $12.8 million, despite the company being mired in controversy. To be sure,Wells Fargo is not alone is lending to the gun industry. Other banks have made credit agreements with American Outdoor and Vista since 2012, including Morgan Stanley ($350 million), TD Securities ($332.5 million), Bank of America Merrill Lynch ($273.6 million), JPMorgan ($273.6 million), and US Bancorp ($273.6 million). Wells Fargo is not alone in propping up the gun industry – other banks like these ones are also doing it. But of all the banks doing business with American Outdoor Brands and Vista, Wells Fargo is at the top – and it’s not even close. Moreover, the biggest owner of Wells Fargo – with close to 10% beneficial ownership – is Berkshire Hathaway, Warren Buffett’s massive conglomerate. Unlike some billionaires who are starting to question their dealings with the gun industry after the Parkland shooting, Buffet remains steadfast in his belief that it would be “ridiculous” to not do business with gun manufacturers. Given this, maybe it’s no coincidence that it’s Buffett’s bank that is so waist-deep in the gun industry swamp. While there is a lot of attention on the gun industry right now, Wells Fargo’s questionable business dealings go well beyond that industry. Indeed, the bank is helping to enable and sustain everything from private prisons to fossil fuels. Meanwhile, it also perpetrated an enormous scandal against its very own clients – literally creating millions of fake accounts so it could rack up more profit through petty fees. Fake Accounts Scandal. Wells Fargo has been embroiled in a massive scandal that involves staff establishing 3.5 million fake accounts for the bank’s customers. Without telling customers, thousands of Wells Fargo employees set up unauthorized accounts, sent out cards people didn’t apply for, and slapped accounts with fees. This all reflected a corrupt culture within the bank, where lower-level employees felt pressure from above to engage in such blatantly shady tactics. As a result of this, Well Fargo was fined $185 million in 2016 by the Consumer Finance Protection Bureau and was banned from doing business in San Francisco – the bank’s hometown – for two years. Private Prisons. A 2016 report from In The Public Interest detailed how just a few mega-banks – including Wells Fargo – are providing the financial underpinning for the entire private prison industry. Wells Fargo had extended lines of credit, provided loans, and underwritten bonds for the two largest private prison corporations, CoreCivic – formerly Corrections Corporation of America or CCA – and GEO Group. The report notes that without the support of banks like Wells Fargo, the private prison industry would not be able to expand as rapidly as it has over the last ten years. In addition to financially supporting operations, Wells Fargo is quite literally invested in the success of mass incarceration and the private prison industry. 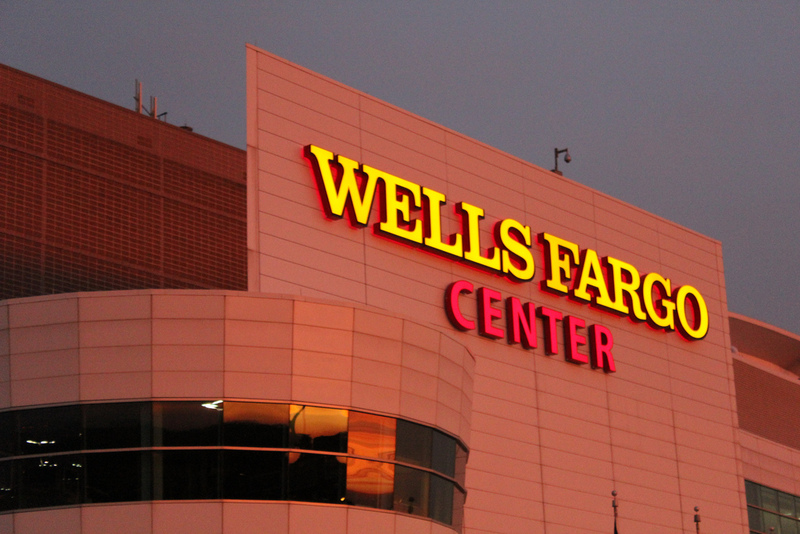 In the past, Wells Fargo has been one of the top shareholders in GEO. Despite calls for divestment, the bank still had over $20 million invested in CoreCivic and $11 million invested in GEO Group at the end of 2017. Fossil Fuels. According to a recent Oil Change International report, Wells Fargo has been the world’s 20th biggest financier of fossil fuels from 2014 to 2016. In that time, the bank gave access a total of $4.82 billion in funds to fossil fuel companies and projects, including $3.21 billion for coal power, $449 million for LNG, $307 million for Arctic oil, and $81 million related tied to Canadian Tar Sands. 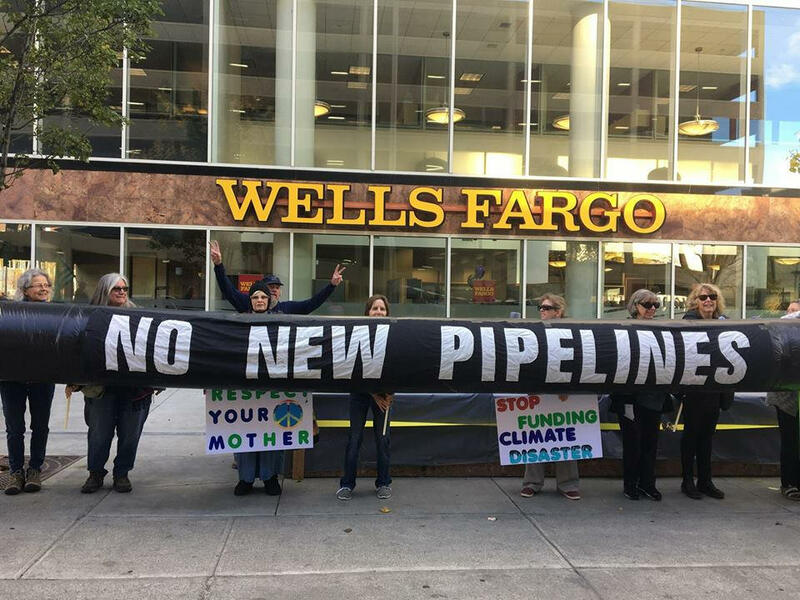 Wells Fargo is also part of the credit arrangements to the Keystone and Dakota Access pipelines – with $120 million to the latter – and to Dominion Energy, the driving force in the Atlantic Coast Pipeline. It should also be noted that Warren Buffet, the bank’s largest beneficial owner, owns the BNSF Railway Company – a major transporter of coal and crude oil – and Berkshire Hathaway Energy – whose utilities are huge sources of coal emissions. The Police. Wells Fargo has a history of providing financial support to police foundations, which often use these funds to acquire weapons that cannot be purchased under their public budgets. Over the years Wells Fargo has funded numerous police foundations and had executives serve on various foundation boards including the Los Angeles Police Foundation, the Charlotte-Mecklenburg Police Foundation, and the Atlanta Police Foundation. In Baltimore private donations to the Baltimore Community Foundation’s Police Foundation Special Grants Fund helped that department acquire specialty equipment that was then used to run a secret aerial surveillance program over the city. The Wells Fargo Foundation is a major donor to the Baltimore Community Foundation’s “Campaign for BCF and Baltimore” and one of its executives served as an advisor to the fund when the surveillance program was exposed. One of the purchase lines for Persistent Surveillance Systems can be seen below in an excerpt from the foundation’s expenditure reporting. Mortgage Fraud. Wells Fargo was one of the major banks that helped precipitate the financial crisis in 2008 and then received billions in public money to bail it out. A lawsuit brought in 2012 showed that the bank systematically and knowingly underwrote unqualified mortgages in order to secure government-backed insurance through the FHA program. As a result, when the loans went into default, the government was on the hook, not the bank. Wells Fargo is now on the hook for a $1.2 billion penalty. Unfortunately this lawsuit did not curtail deceitful practices in Wells Fargo’s mortgage division. In 2017 a group of whistleblowers revealed that the bank bilked borrowers with extraneous and excessives fees. The fees were levied when borrowers would miss deadlines to lock in rates but whistleblowers allege that often the bank was at fault for the delays. In total Wells Fargo made $98 million from charging 110,000 customers with these fees. Trump’s Border Wall. Wells Fargo has also backed Sterling Construction Company, one of the main construction companies that is vying to build Trump’ border wall. Its subsidiary, Texas Sterling, was the biggest company (of six total) chosen by the Trump administration to submit a model for the border wall. Wells Fargo currently owns 265,951 shares of Sterling – a little less than one percent of the company. 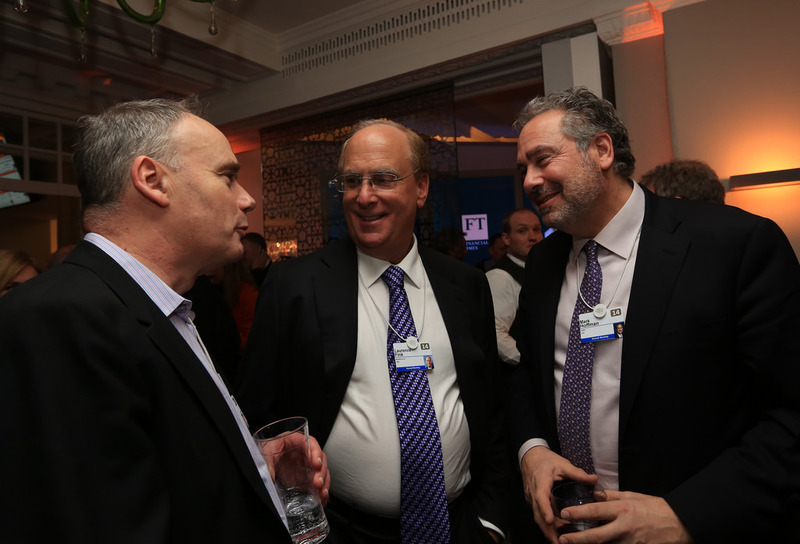 This is down from the 379,278 shares – or 1.79 percent of the company – owned last November (other companies – some also with ties to the gun industry – also own parts of Sterling, such as BlackRock, JPMorgan, and with the highest ownership share, Renaissance Technologies, whose former head was Trump and Breitbart benefactor Robert Mercer). If the big banks that keep the gun industry in business wanted to see change, they could probably exert some serious pressure on the industry. If organizers like those who put together yesterday’s impressive walk outs are looking for targets who have a lot of power in the gun industry, Wells Fargo is a strategic bank to focus on. This is the latest installment in our series on the money behind the gun industry. Our previous posts include Gun Profiteers: Who’s Getting Rich off the US Gun Crisis? 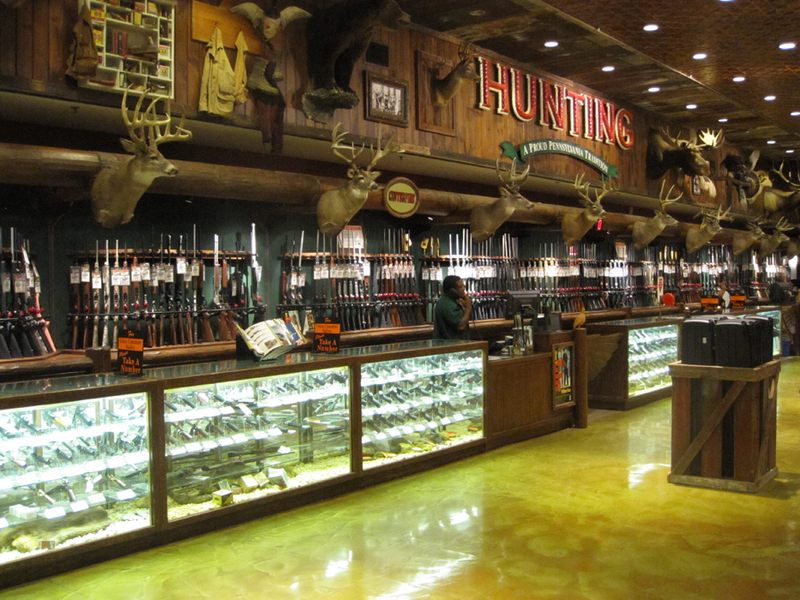 and Fueled by Tax Dollars and Goldman Sachs, Bass Pro-Cabela’s Keeps Selling Assault Rifles.